King Street Trolley Up and Running – Be Sure to Catch It! A community yard sale will be held on Saturday, May 23rd in the common area between Bradwood Court and Bradwood Street starting at 8:00a.m. If you would like to participate please email Rose Weber at weberr@verizon.net.You must provide your own table. The location was chosen to make loading and unloading convenient for sellers and customers and we ask all residents not to park on Bradwood Street the night before and the morning of the yard sale. We look forward to seeing you there. A maximum of about $750 million in transportation funding is expected to flow to Virginia from the 789 billion dollar stimulus package recently signed into law. Many of Virginia's transportation projects are stalled due to funding. For example, the Fairfax County Parkway project is about $60 million short, the long-planned revamping of the intersection of Lee Highway and Gallows Road awaits $40 million for construction, and state transportation leaders recently put on hold portions of the widening of Interstate 66's westbound lanes inside the Capital Beltway. Dozens of others like it across the state are also awaiting money, and state and local officials say they don't know how the federal money will be distributed or with what strings attached. "If the stimulus comes with instructions, we'll have to follow the instructions," said state Del. David B. Albo (R-Fairfax). "But if I have any authority over any of the money, I'd like to have a say in it." 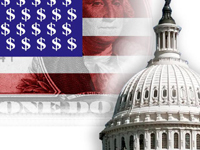 To learn more about the federal stimulus package, please visit: www.Recovery.gov. The deadline for submission of the proposals is Friday, March 6, 2009. Staphylococcus aureus, or simply staph, are bacteria commonly carried on the skin or in the noses of healthy people. Methicillin-resistant Staphylococcus aureus (MRSA) is a type of staph that is resistant to antibiotics including methicillin and other more common antibiotics such as penicillin and amoxicillin. 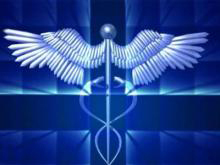 Staph infections, including the serious MRSA strain, have spread through schools nationwide in recent weeks. The infection can be spread by skin-to-skin contact or sharing an item used by an infected person, particularly one with an open wound. - Treat and cover wounds with StaphAseptic® – A first aid antiseptic/pain relieving gel known to prevent the spread of staph. - Don't share personal items – Germs can live on clothing and towels for over 24 hours. - Shower after physical activity – Close skin to skin contact is one of the main ways MRSA is being spread among athletes. - Keep hands clean – One of the easiest ways to protect yourself is to wash your hands. - Wear loose clothing around wounds – This can help prevent chafing which can cause a break in the skin and provide entry for staph bacteria. - Consult your physician for all active wounds – In order to determine if an infection is MRSA, it must be cultured by a physician. Street Trolley service will transport residents, visitors, and those who work in Old Town between the Potomac River waterfront and the King Street Metrorail Station. The free trolley will operate seven days a week from 10 a.m. to 10 p.m. Approximately every 15 minutes, riders can board at the unit block of King Street near the Potomac River waterfront, the King Street Metrorail station, or at any of the signed stops along King Street, which are approximately 2 blocks apart. Typically, four trolley vehicles will circulate on King Street in order to maintain the 15-minute intervals. The trolley service replaces the weekend DASH About bus service, which was discontinued Sunday, March 30. 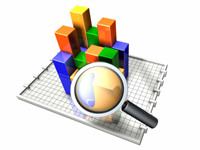 Local consumers are nearly five times more upbeat about the regional economy than they are about the national economy, according to a new survey for the Greater Washington Board of Trade and Northern Virginia is at the top. The region’s residents are looking to the future with a significant level of optimism. The 2009 tax filing season is in full swing and the IRS has announced a number of new steps to file your taxes, help financially distressed taxpayers maximize their refunds, and steps to speed refund payments. 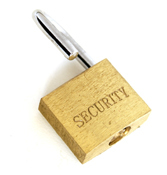 The LHOA Board is in the process of finalizing the transition to locking mailboxes. We would like to hear any homeowners' opinions on the project. Please e-mail the board at board@leewood.us or send a note to P.O. Box 1421, Springfield, VA 22151 or you can also leave a note at either 7013 Leestone Street or 7040 Bradwood Court. The deadline to submit your ideas is MONDAY, MAY 4th. The Leewood Homeowners Association annual meeting will be held on March 10th, 2009 at 8:00 p.m. in the Auditorium at the Philips School Located at the Northwest corner of Braddock and Backlick Roads at 7010 Braddock Road, Annandale, VA.
*=PLEASE NOTE: THIS LOCATION IS DIFFERENT THAN LAST YEAR. Annual meeting packages have been prepared and mailed to each homeowner. We hope that every homeowner will participate by attending the meeting. If you cannot attend, information is provided from the board below on how you can vote absentee. Three LHOA seats on the board are up for election this year and here is some information on the candidates. In an effort to keep our members informed, we have asked all of the candidates running for a seat on your LHOA board some information about them and thier vision for the Leewood in the future. The Leewood Board is composed of 5 members and no member can unilaterally take an action that affects the entire community. This year each member of the community, who chooses to vote or submit a proxy for someone to vote on their behalf, will be selecting three people to serve on the Board. Following are short bios submitted by those who are running. The candidates were asked to list their name, street/address, current occupation, how long each has lived in Leewood, reasons they are running for the Board and past work with the Association. The bios are posted as submitted and no changes have been made in the information provided. The candidates are listed as they appear on the ballot. I am a retired military member who spent 26 years in service to our country as a United States Marine. I have been a resident in Leewood since June of 2003. However, I have only been in permanent residence since December 2005. Prior to that, although Leewood was my home, I was often deployed or stationed out of the state/country. I am an administrator by trade and currently work for the Secretary of Defense as a civilian employee. Much of my experience in the service lends itself well to my being on the Board. Not only am I an administrator by trade, but over the years I have sat in various positions on various communities’ boards as the Marine Corps representative and have held positions on Department of Defense Boards as well. I believe that change can only be brought about through positive action, and so, taking part in the Association is something I view as my duty as a resident. I have two daughters and two grandsons who live in Beaufort, SC. I was elected to the Board in 2006 and have served as the Board Secretary since that time. While serving on the Board I have played a key role in Board accomplishments, to include: the installation of common area lighting, the renegotiation of a new trash contract and a new landscaping contract, the repair of numerous drainage problems throughout Leewood, the repair of our sidewalks, and streets, and the installation of a trash can at the bus stop at Backlick/Leestone. I have also personally participated in much of the work required to maintain Leewood such as fence repair, tree pruning and tree removal, which have saved Leewood money in reduced repair costs. I have also been successful in forming positive working relationships with outside organizations that impact Leewood such as Fairfax County, the US Post Office, our contracted service providers and our bordering neighbors outside Leewood. I have streamlined many of the Board administrative processes and have performed many administrative duties, such as photocopying, at my own expense, saving the Association money in admin fees. I have also played an active role in organizing community events such as National Night Out gatherings. My goals as a board member, should I be re-elected, are to be as active as my schedule allows and to positively impact the conduct of the Board and Board-community relations. I would like to see more resident participation in our community and hope to continue to create enthusiasm amongst residents to realize that goal. It is my opinion that the board exists to ensure property values remain stable (or rise) by: 1) governing maintenance and upkeep of personal properties and 2) making improvements to the community as a whole. With the present state of our economy, it is more important than ever that we protect our home investments by continuing to improve our community and make it a pleasant and safe place to live. I hope to continue working with the Board, but more importantly, I hope to remain in service to my neighbors as a member of the Homeowners Association Board. Specific Experience: My successful completion of the three year term responsibilities as a volunteer Board member in coordinating and working for LHOA. The proxy can also be dropped off at 7013 Leestone Street, the home of our secretary, Rose Weber. If you mail or drop off your proxy, please designate someone you know will be in attendance or a board member to vote for you. 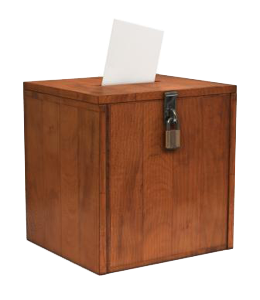 If you do not wish to designate someone to vote for you, please return the proxy checking for quorum purposes only. 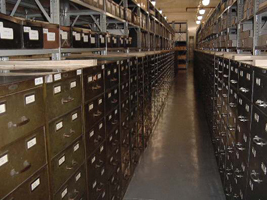 Only original documents can be used to cast your vote, copies will not be allowed. Fairfax County Board of Supervisors Vice Chairman Sharon Bulova, Braddock District, was elected chairman in a special election held Tuesday, Feb. 3. She won by 1,200 votes with 16% of the county's registered population voting in this special election. She was sworn in at a ceremony on Friday, Feb. 6, at the Government Center. Bulova was first elected to the Board of Supervisors in 1987 and began her sixth term on Jan. 1, 2008. She has served as the board's vice chairman and chairs the board’s Budget Committee. Bulova is a founder of the Virginia Railway Express and helped establish a statewide Rail Advisory Board, which recommends funding for rail projects that have significant public benefit. Sharon Bulova, 61 narrowly defeated her Republican opponent, Supervisor Pat S. Herrity, in a special election February 3rd (see above). She replaced Democrat Gerald E. Connolly, who is now in Congress and will bring a different leadership style to the board. Her soft-spoken style makes her different from her predecessors, and she prefers to leave the talking to others. A former homemaker and civic association president, she became the Braddock supervisor 21 years ago, but never thought she would be chairman. She has been well-liked and quite content in her district and is known as much for her willingness to listen as her ability to act on such local concerns as neighborhood decline and the condition of storm-water spillways. This year Thanksgiving, Christmas and New Year's Day all fall on a Thursday. Seeing that our bi-weekly trash pick ups are scheduled for friday mornings, there is no change to our Trash schedule for those holidays. Feel free to put out all your holiday trash as normal, and make sure that you put all trash out after dark the night before to keep our community looking clean for all of our residents and thier guests during the holidays. ADS, our trash contractor has scheduled (2) special Christmas Tree Pick-ups for Leewood. Trucks will be coming through Leewood WEDNESDAY Morning January 7th & 14th. Please put out your trees the night before free of all ornaments, lights, and tinsel. Your LHOA is pleased to announce that Maggie Pitotti has joined our board. She was elected at the annual meeting and comes to the board with a wealth of experience, and many years of volunteering in Leewood. We’re proud to welcome her and look forward to working alongside her. Maggie will be taking over as treasurer and releaving Mohammed Umar of his duties. We want to give special thanks to Mohammed for his many years volunteering his time for our community and look forward to working with him in many other capacities. 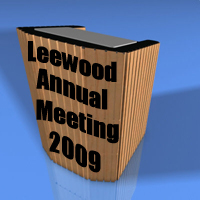 We plan to issue a new Leewood Telephone Directory in 2009. A hard copy of the form will be included in the annual notification of assessments which homeowners will receive no later than 12/1/08. In the meantime, we are posting a blank copy of the form for those homeowners who want to get a head start on completing it. Please follow the instructions on the form and send them to the address provided. Thank you. We look forward to having great participation! Because Gerald Connolly was elected to the House of Representatives 11th District, Fairfax County is left without a Chairman of the Fairfax County Board of Supervisors, a Special Election for Chairman of the Fairfax County Board of Supervisors will be held. All qualified voters in Fairfax County are eligible to vote in this election. 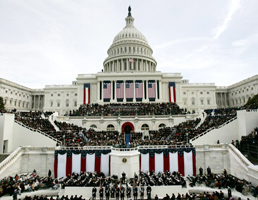 The District of Columbia plays host every four years to the inauguration of the country’s president and the related activities such as the inaugural parade, balls and galas and other festive events. Hundreds of thousands of American citizens from across the country will visit the District to take part in this historic event. Special Christmas Tree Pick-up - Wednesday January 14th. Help give your Christmas tree a second life by recycling it. 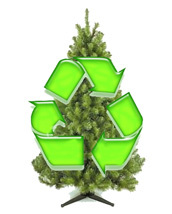 American Disposal Services our recycling company will provide two special pick-ups for your christmas trees. 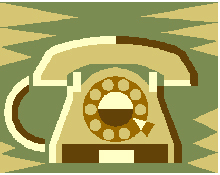 The next and final special pick-up is Wednesday morning, January 14th. Please put your christmas trees out the night before free of all ornaments, lights, and tinsle. 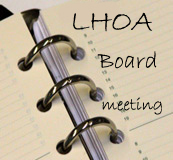 LHOA Board Meeting - Tuesday, January 13th 2009 7:30 p.m.